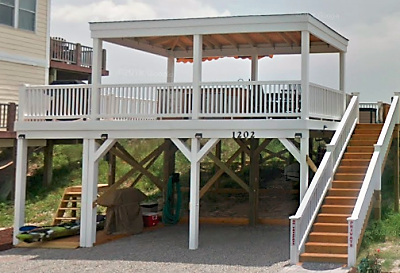 SURF CITY – A newly adopted town ordinance that regulates stand-alone decks on oceanfront properties too small to construct homes is stirring a debate about the rights of property owners, dune protection and interpretation of state rules. 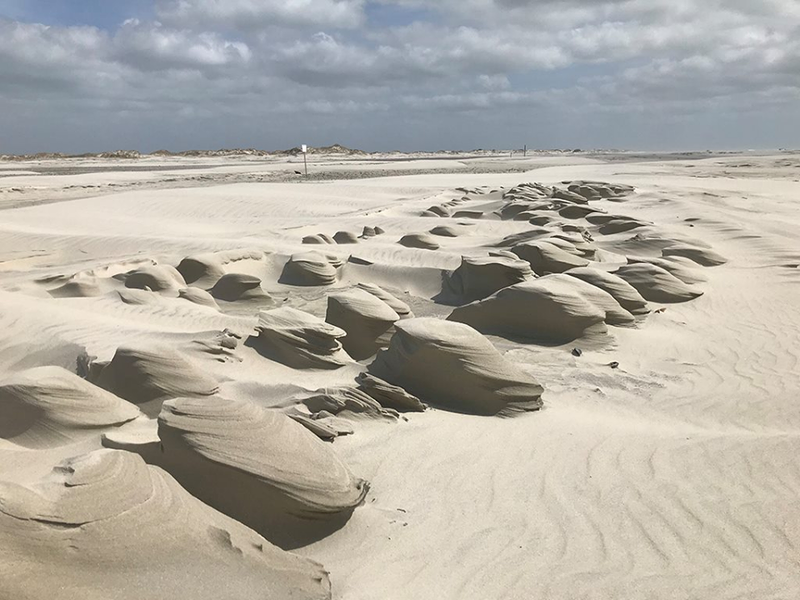 Beachfront property owners in Surf City will continue to be allowed to build private decks and crosswalks on lots that, because they do not meet the state setbacks from the first line of dune vegetation, are deemed unbuildable. These structures are permitted as long as they meet the rules set forth by the state Coastal Resources Commission, or CRC, and local government rules. Under Surf City’s ordinance amendment the town council adopted Jan. 2, oceanfront property owners of unbuildable lots may construct single-level decks of no larger than 500 square feet. No more than 200 square feet of a deck may be covered. Those size limits are identical to the CRCs, a point Surf City Mayor Doug Medlin reiterated when refuting the term “mega decks” as they are referred to by some property owners opposed to the town’s ordinance. The ordinance specifies what uses are and are not allowed in relation to decks and accessways on unbuildable oceanfront lots. 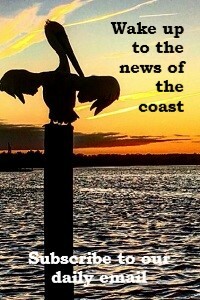 The town requires an applicant to obtain zoning and building permits prior to construction in addition to a Coastal Area Management Act, or CAMA, permit. A 24-foot-wide access drive is allowed to be built so an owner may access their private deck or walkover. Pools cannot be constructed on these lots. Overnight stays, RV hookups and any type of commercial use, including renting out a deck for uses such as parties, are also prohibited. That last exclusion is what initially caught the attentions of Marcus and Janet Norton. Realtor signs placed on a series of undeveloped beachfront lots adjacent to their North Shore Drive home advertised the plots as “party deck” lots, Marcus Norton said. The Nortons delved into local and state rules pertaining to the structures, ensuing what has resulted in a debate about the interpretation of both the town’s and state’s regulations, and whether these structures affect the integrity of the dune over which they’re built. The term “mega deck” refers to the overall construction – deck, covering and accessway – on an unbuildable lot. The Nortons argue that these independent, freestanding structures are not in compliance with the CRC rules. They tried to appeal the minor CAMA permits issued to a couple of the oceanfront properties. Marcus Norton interprets that to mean the structures are to be an accessory to a home. The state Division of Coastal Management public information officer Sarah Young said in an email that exceptions to oceanfront setbacks do not require the structures to be accessories to principal uses. Freestanding decks and private crosswalks can be found along Topsail Island’s nearly 26-mile ocean shoreline. 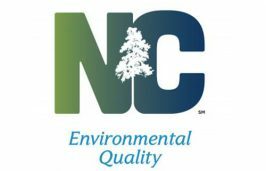 The state permits this development if it is landward of the vegetation line or static vegetation line and does not alter or remove primary or frontal dunes. 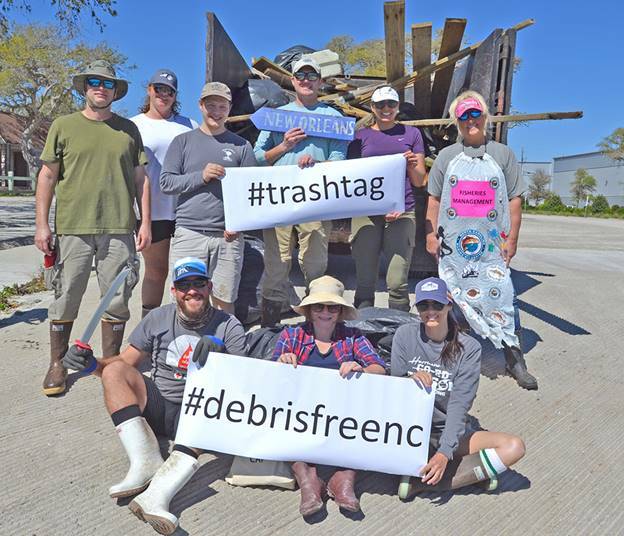 The division is in the process of creating oceanfront setbacks from beach being designated as unvegetated following Hurricane Florence. Unvegetated beach are areas where there is no stable natural vegetation. This designation can be permanent or temporary. Young said if a vegetation line recovers naturally over time or through future beach re-nourishment and dune restoration projects, setbacks could be changed on individual lots. “DCM will need to continue evaluating each property on a case-by-case basis in order to determine what can or cannot authorized,” she said. Local governments have the right to enact additional restrictions on the size, use or other aspects of decks and accessways. 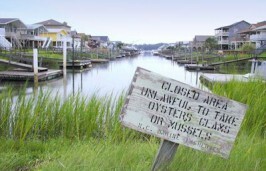 Some beach towns, including Surf City’s neighbor to the south, Topsail Beach, follow the state’s laws. 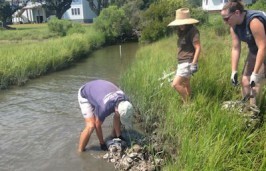 “The state regulations are quite clear in (Ocean Hazard Areas of Environmental Concern) on how they can be built,” said Linda Vescovi, Topsail Beach town planner. The CRC late last year made changes to the rules pertaining to accessways. Current rules require beach accesses extend no farther than the first line of stable and natural vegetation. Last November, the commission adopted changes that will allow accessways to be built up to 6 feet beyond the vegetation line as long as it does not interfere with public trust rights or emergency access along the beach. This provision applies only to proposed accessways larger than 6 feet wide and used “for purposes other than pedestrian use,” Young said in an email. The changes go into effect Feb. 1. The town nor DCM keep records of how many unbuildable oceanfront lots are in Surf City. The town owns 13 unbuildable beachfront lots, a majority of which over the years have been donated to the town by property owners who no longer want to pay taxes on land they cannot build homes on. At one time, homes stood on many of the unbuildable lots. 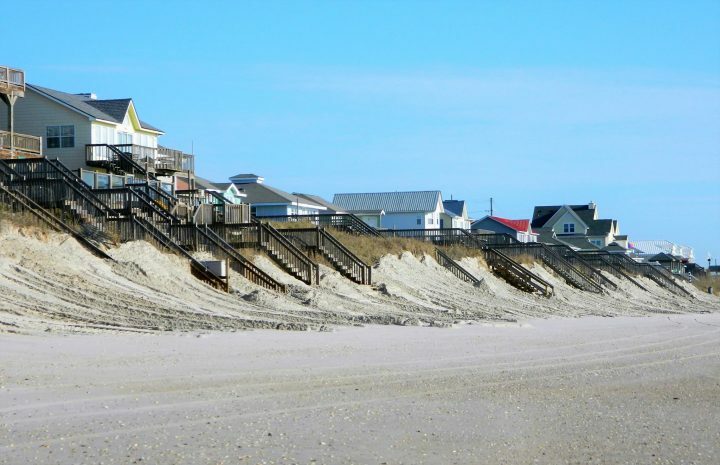 Hurricane Fran changed the towns beach profile when the Category 3 storm hammered the North Carolina coast in 1996. Dozens of oceanfront homes were destroyed and lots, due to the loss of sand, did not meet CAMA building setbacks. Over time, property owners whose homes are located behind the beach road, have bought the unbuildable oceanfront lots adjacent to their land, Medlin said. “They’ll buy the oceanfront lot in front of them then they’ll build their own deck or crosswalk,” he said. But some owners of oceanfront unbuildable lots have opted to keep the land and build private decks and crosswalks.